Can You Bake Doughnuts Without the Doughnut Pan? 4 Can You Bake Doughnuts Without the Doughnut Pan? The NuWave oven is a heavily marketed countertop cooker that uses a combination of convection cooking and infrared cooking to prepare foods in less time than conventional ovens. The appliance's advertising focuses heavily on preparing whole meals easily in the cooker, putting dinner on the table quickly with minimum cleanup. However, the NuWave can also be used to bake conventional treats such as cinnamon rolls. Conventional ovens cook foods by indirect heat, transmitted through the air from the oven's heating elements. This works well, but takes time because it's relatively inefficient. Convection cookers use a fan to circulate the hot air in the oven, shortening cooking time. The oven's broiler element goes a step further, generating such intense heat that it sears and cooks the food through infrared radiation. The NuWave oven combines these two methods, putting infrared cooking and convection cooking in a single compact countertop unit. The NuWave oven's arrangement is unconventional, and makes it difficult to use conventional baking pans. However, it will accommodate a round baking pan of up to 10 inches in diameter. The company markets a ceramic nonstick baking pan of its own, but any round cake pan or springform pan of similar size can be used. A 10-inch pan will hold four or five conventional cinnamon rolls, or up to a dozen miniatures. Prepare a batch of cinnamon rolls according to your favorite recipe, or thaw a commercial brand of frozen ready-to-bake cinnamon rolls. Cut a round of parchment paper and line the pan with it, to keep the cinnamon rolls from sticking. Fill the pan with cinnamon rolls, leaving room for each to expand. If you like your rolls wide and flat, make fewer rolls and place them further apart. 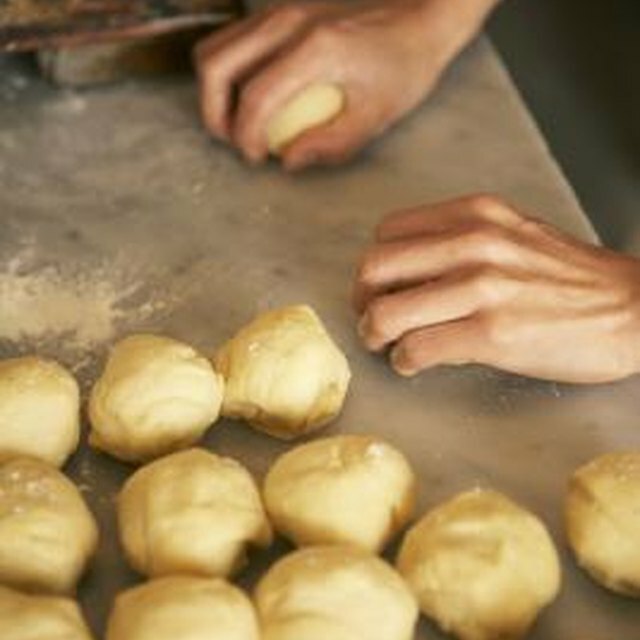 If you like yours thicker, add more rolls and place them closer together. After the rolls have risen in their pan, place the wire rack in your NuWave and place the pan of cinnamon rolls on the rack. 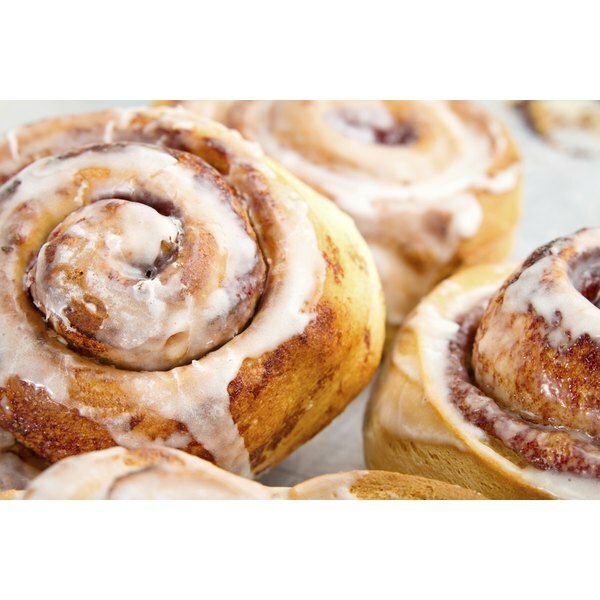 Bake thin cinnamon rolls for 10 to 12 minutes, thicker ones for 12 to 14 minutes, until they're well risen and golden. For extra-soft crust, brush the tops with milk when they're still hot. When cool, glaze with flat icing or spread with cream cheese icing. How Long Do You Cool Muffins Before Storing Them? Can You Cook Biscuits on the Stove? How Wide Are Double Hung Windows?